The Roland Cloud continues to inflate with more content. It’s called the Anthology 1990. For the 4.2 update they have given us a complete, “Ultra-Deep sampled replica” of… well, oddly they don’t actually tell you what synthesiser it’s based upon, they simply assume that we know. 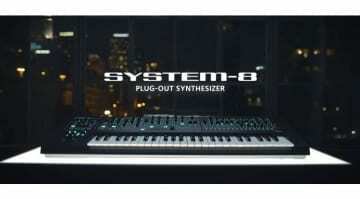 Of course, the only synthesizer Roland released in 1990 was the D-70, so we’ll go with that. The D-70 featured an evolved form of the Linear Arithmetic (LA) synthesis found on the earlier D-50. It combined samples and digital synthesis to create a remarkably lush and realistic sound. it was kind of the last innovative synthesizer from Roland before the wilderness of many many years in the PCM workstation world of the JV range. In the Anthology 1990 you will find a mere 64 patches, but these are the original patches – “Ultra-Deep sampled”. Each note has 4 velocity layers. There’s an ADSR resonant filter for lush sustains and harmonic decays. Apparently, you can load multiple instruments in a single plug-in instance. 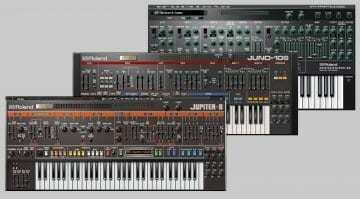 And you can run each instrument onto separate MIDI channels. 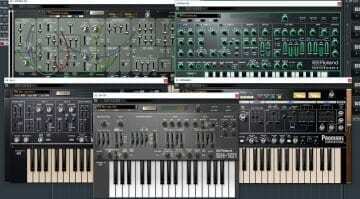 Roland say they’ve put a lot of time into ensuring the plug-in runs well in multi-threaded environments – perhaps taking on board some of the criticism of the CPU hungry nature of their other plug-ins. 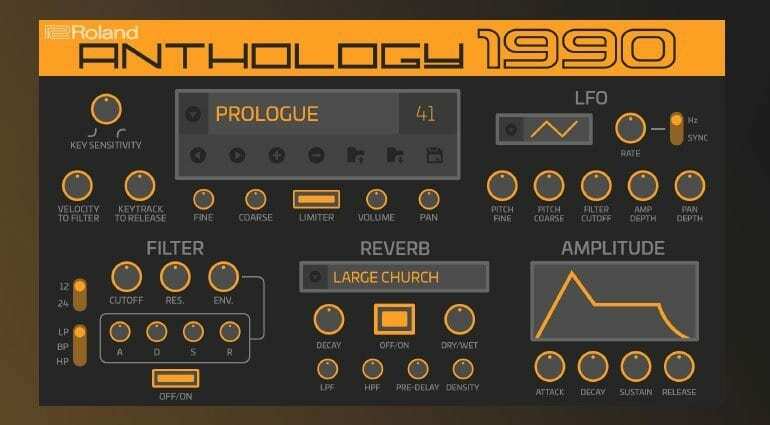 Anthology 1990 is only available as part of a Roland Cloud subscription which also gives you access to a whole raft of Roland virtual synths and sound library. It’s not cheap at $19.99 a month but it gets better value all the time with these sorts of updates. 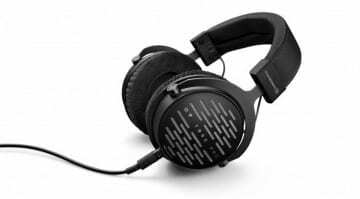 More information available on the Roland Cloud website.